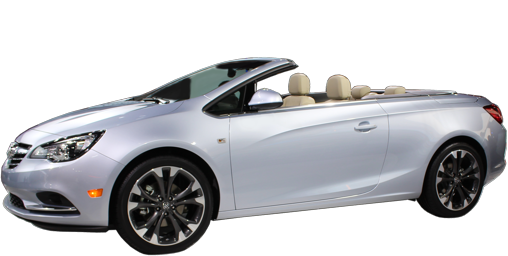 Buick's model year switchovers are starting early; we'll cover them as they occur. Bookmark this page and check it often! 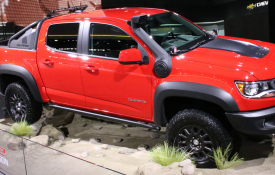 The previously unnamed base trim level is now called "Preferred." The Avenir and Premium's standard heated steering wheel now comes on automatically when the vehicle is started if the cabin temperature is low enough. The Avenir offers a new Ebony interior. The Encore Premium is discontinued, leaving the Encore Essence as the top-of-the-line. 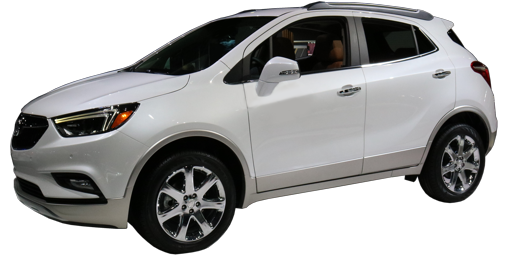 The Essence will offer a Safety Package II, comprised of previous Encore Premium exclusives, including Rainsense wipers, Front and Rear Park Assist, Forward Collision Alert, Lane Departure Warning and an air ionizer. 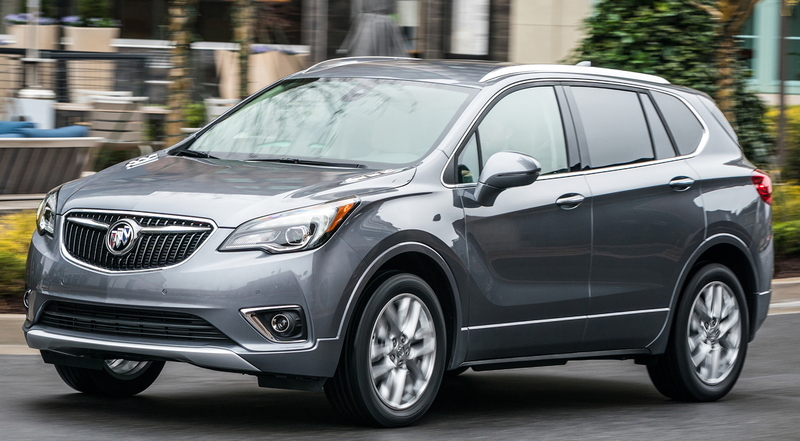 The Envision, Buick's made-in-China mid-sized sport utility, gets a mild refresh, including a nine-speed automatic for its top-tiered Premium with more torque from its engine. The 2.0-liter turbo is still rated at 252 horsepower, but torque jumps from 260 pound-feet to 295, sure to improve acceleration. For pocketbooks, the base price on the standard Envision lowers by about $1000. An ionizing air purifier is now included on Premium models, as well as LED headlights. Tire fill alert is a new standard feature: beeps the horn when the tires hit the correct pressure while airing them up. 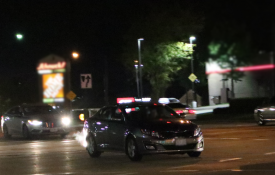 High-intensity discharge (Xenon) headlights are now standard, also. Sadly, the adaptive headlights are no longer offered. A sprinkling of other improvements include: more powerful wireless charging, compatible with iPhone X; faster seat heaters; a switch to easily disable Start/Stop operation; an improved hands-free microphone; and a better rear view camera. The refresh includes a new grille with wings stretching through the Buick logo across the grille's width. New taillights and new wheel designs round out the visual changes. LaCrosse Sport Touring is new to the lineup, nestling in-between LaCrosse Preferred and LaCrosse Essence. Sport Touring models add adaptive headlights (turn to illuminate the road as you corner), automatic dimming driver's side mirror, memory driver's seat and mirrors over Preferred equipment. They feature a rear spoiler, blacked-out front grille with a body-colored border and body-color "ventiports." The LaCrosse Avenir is also new (late 2018 addition), adding the Avenir treatment to the LaCrosse and becoming its new top-of-the-line. 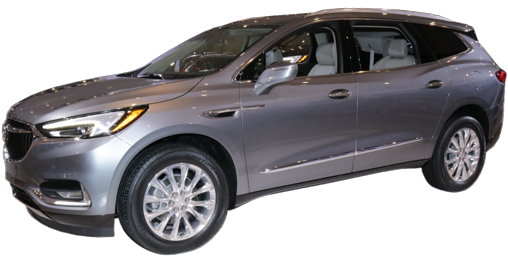 LaCrosse Avenir shares Premium equipment such as the Forward Collision Warning, Heads-Up Display and Lane Keep Assist. 19-inch wheels, standard on the Avenir, are a new option on Preferred, Essence and Premium. Sirius/XM is now standard on all LaCrosse models. Buick's new Avenir top level model tranfers to the Regal in a strange way. 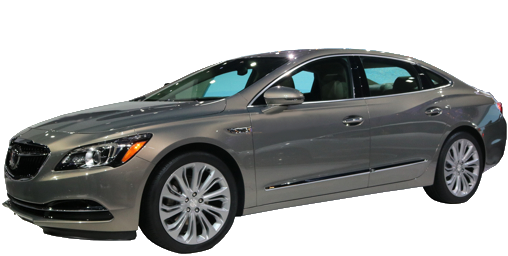 Avenir is suppossed to be the "Denali" of Buick: a Cadillac in all but name. 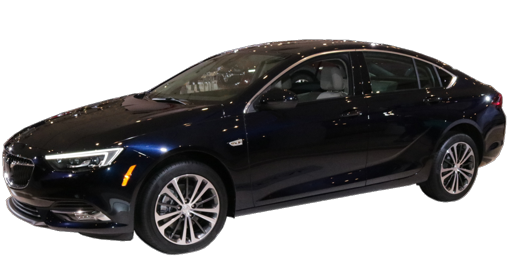 The Buick Regal Sportback Avenir does not get the V6 engine of the Regal GS. Nor does it get all-wheel-drive offered in Essence and lowly Premium models. The Regal Sportback Avenir is a 2.0 Turbo, front-wheel drive offering, with such niceties as standard LED headlights, pearl nickel 19-inch wheels, driver's side automatic dimming mirror, four-way front seat power lumbar support, driver's and outside mirror memory, rear park assist, blind spot warning and rear cross path warning. The Regal Avenir also shares tires with the GS: 245/40R19. Ventilated seats, massaging seats and a memory passemger seat remain the territory of the GS, only. In addition to its unique wheels, the Avenir gets perforated leather specific to the model, including and exclusive color: "whisper beige." The Avenir, like the GS, will not be offered on the cross-overish Regal TourX. More sadness in wagon land. A new ionizing air filter is standard on Essence, Avenir and GS to improve cabin air quality.